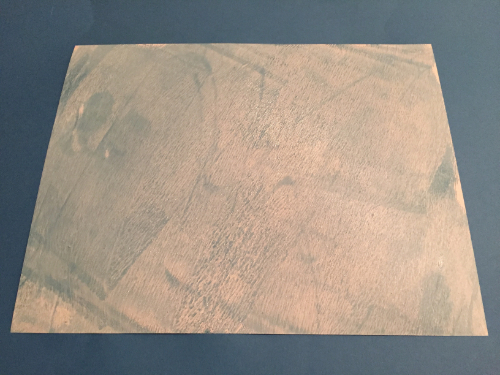 Apply white acrylic paint onto GelPress printing plate. Use brayer to roll out paint covering desired area. Drop a four or five drops of blue paint on top of white paint. Lightly roll out blue paint to create desired look. Place sheet of cardstock paper on painted surface and press paper with hands. 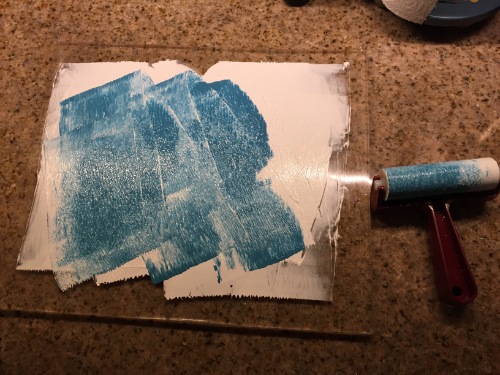 Remove cardstock paper from printing plate and let paint dry. Cut painted cardstock into 4.5” x 5.25” rectangles. 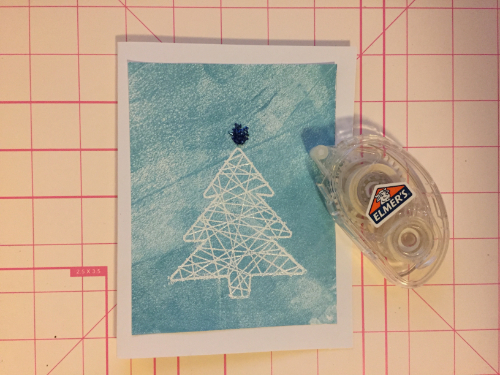 Using clear ink, stamp tree onto cut cardstock. 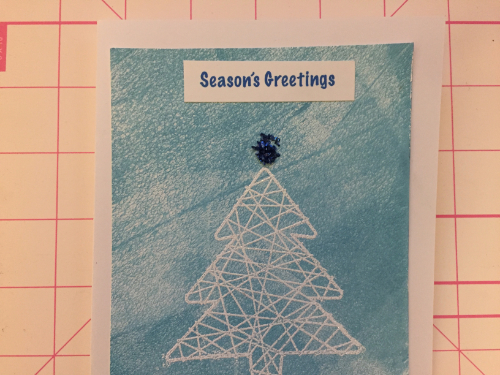 Place stamped cardstock in Snappy Tray and pour embossing powder over stamped area. Apply small bead of Diamond Glaze to card at top of tree. Attach decorated cardstock to blank card. Print your message on cardstock, trim and attach to card with tape runner.